Paul Sevigny, the paradigm of New York nightlife, chose The Roxy to house his beloved late night destination, Paul’s Cocktail Lounge. Facing 6th Avenue, Paul’s is an intimate space serving crafted cocktails on polished silver trays. 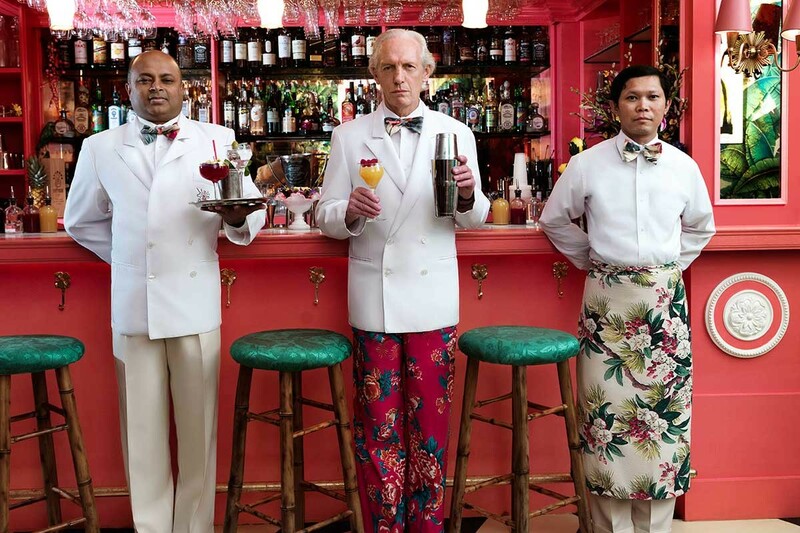 The staff sports Latin Palm Beach-inspired uniforms by Paul’s sister and fashion icon Chloe Sevigny. Hand-painted hibiscus wallpaper, patterned mirrors and marble that meet with splashes of emerald and raspberry, and tropical art by New York painter Josh Smith would make Dorothy Draper proud. A rotating cast of NYC’s renowned DJs and music talents spin, along with international guest appearances. Wednesday through Saturday from 10pm til late. Entry to the lounge is by doorman’s discretion.